Cantor’s Driving School offers driving lessons and driver training in all areas of Pompano Beach, Florida. Over 50,000 drivers have learned to drive with Cantor’s Driving School. Are you our next safe driver in Pompano Beach? 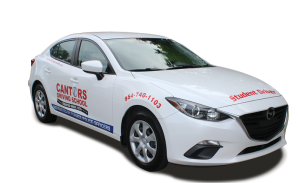 Cantor’s, The Driving School That Gets Results®in Pompano Beach. When taking driving lessons in Pompano Beach, Cantor’s Driving School provides driver training on local roads such as Atlantic Blvd, Dixie Highway, Sample Rd, Copans Rd, Dr. Martin Luther King Blvd, S. Powerline Rd, N. Andrews Ave, NW 21st Ave (Rt 845) and Ocean Blvd. For highway driving lessons, N. Federal Highway(Rt 1) is used along with I-95. Driving lessons can be conducted on roads in Pompano Beach neighborhoods like Leisureville, Collier Manor-Cresthaven, Loch Lomond, Kendall Green, Pompano Beach Highlands, Pompano Estates, Lighthouse Point, Terra Mar, Palm Aire and more. Teen drivers can be picked up at Pompano Beach High School, Blanche Ely High School, Highlands Christian Academy, P.L.A.C.E. or any schools near Pompano Beach. Click to find the closest DMV office to Pompano Beach for driver licenses, driving tests and ID cards. Cantor’s Driving School offers driving lessons in Pompano Beach including the zip codes 33060, 33061, 33062, 33063, 33064, 33065, 33066, 33067, 33068, 33069, 33071, 33072, 33073, 33074, 33075, 33076, 33077, 33093 and 33097. Use the Cantor’s Driving School contact form or call us at 954-740-1103 for further assistance with driving lessons in Pompano Beach.